The electric hookah is considered recreational paraphernalia. It is used primarily for smoking "Caiber", a finely diced vine that grows on Tethys. As most smoking practices the electric hookah imparts a meditational effect but the practice of smoking Caiber has other medically corroborated medicinal effects as well. 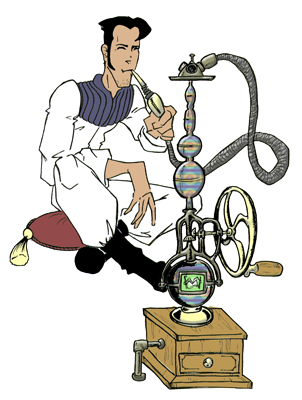 Smoking a hookah in some circles is a sign of dignity or nobility.